Above: Marj Matchee, Cathay Wagantall M.P., Dave Bona, and Bev Skwernuik. 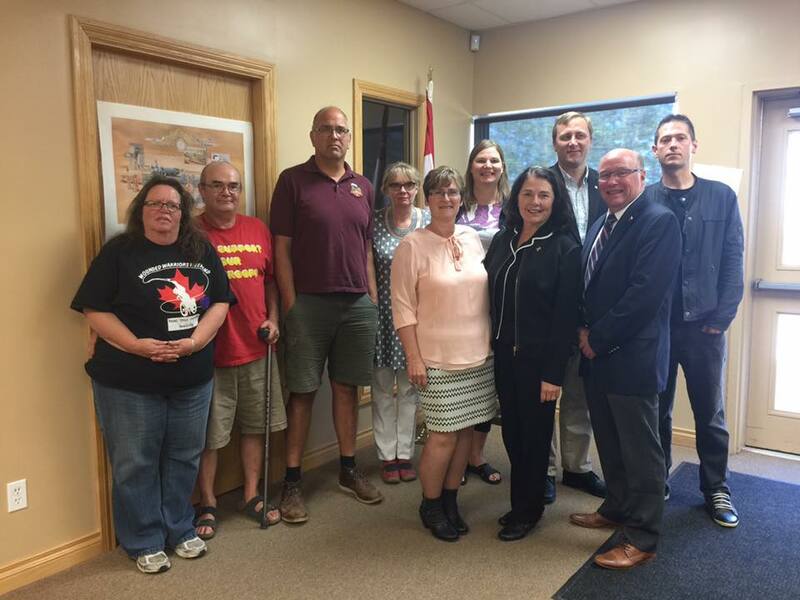 Some members from Mefloquine Awareness Canada met with Members of Parliament, Cathay Wagantall and Dr Robert Kitchen and others, to discuss mefloquine and the effects it has had on our country. (Photo credit: Carla Murray). Below: (L to R back) Carla Murray, Steven Bird, Dave Bona. 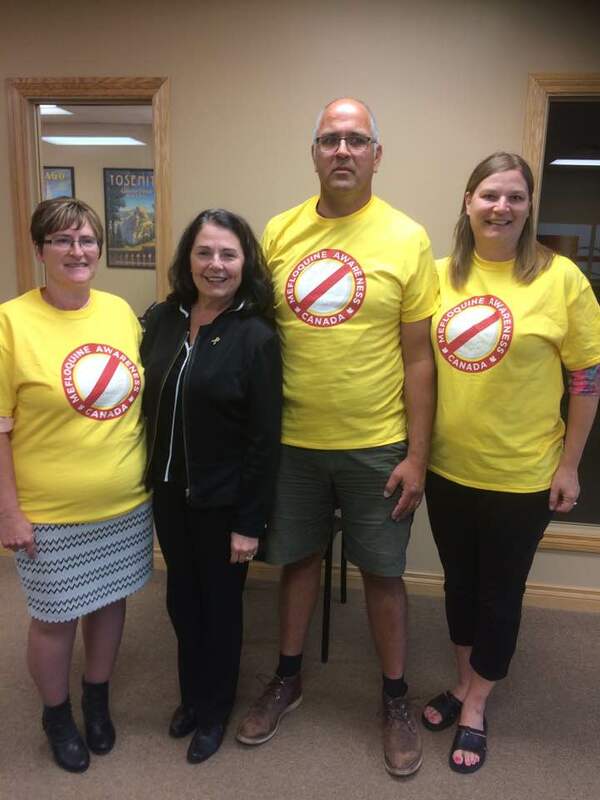 Brenda Fredrickson, Bev Skwernuik, Brad Trost M.P., Johnny Bodnaryk. (front) Marj Matchee, Cathay Wagantall M.P., Dr. Robert Kitchen M.P. So many lives will reap the rewards of your hard work. I believe that with all my heart. Wishing you continuing strength, courage and tenacity. I’m so proud of you! Great to see these people in the same room. Looks like Cathay Wagantall is on board. 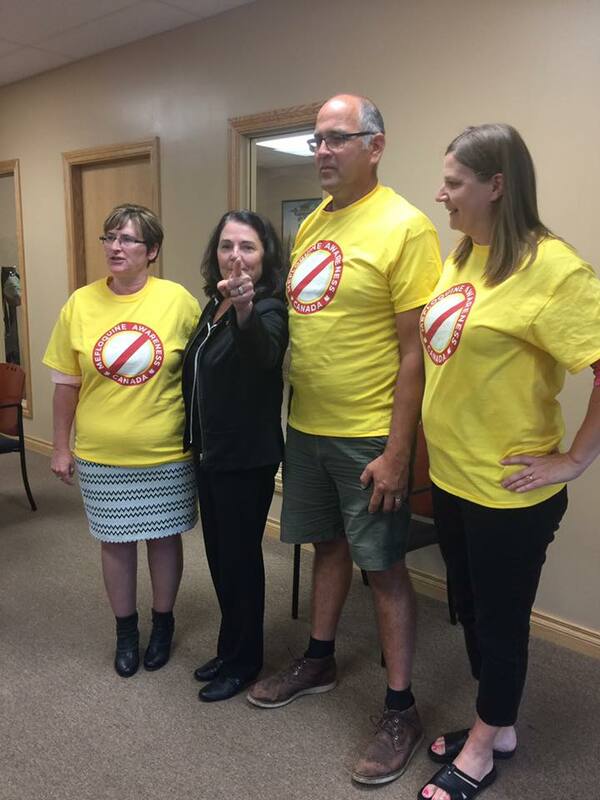 FLTR: Marj Matchee, Cathay Wagantall M.P., Dave, Dr. Robert Kitchen, Bev Skwernuik and Brad Trost M.P.